Home > What are the benefits of sea freight? Approximately 71% of the earth’s surface is covered by water and, for a long time, businesses have taken advantage of this fact – using the sea and oceans to successfully transport their goods. Despite the wide range of freight forwarding modes that are now available, sea freight shipping continues to be one of the most popular and here we take a look at some of the main reasons why. When it comes to the transportation and forwarding of products, the cost is always a priority. Business owners like to get value for money and sea freight services are a very economical option. Goods can be delivered over long-distances using a relatively small amount of fuel and – as such – sea freight companies are able to price their services competitively. They also typically offer a part-load service, whereby smaller shipments can be grouped together with that of another company, thus filling the container and sharing the cost between each client. One of the main advantages of sea freight is the reliability and accuracy of delivery. Goods will be delivered on time, regardless of the time of year or weather conditions, and there is no need to worry about traffic congestion or delays due to roadworks and other unforeseen circumstances. Sea freight shipping also allows a sufficient amount of time for relevant documentation to be completed. Yes, other forms of freight forwarding might be much quicker, but they are often held up by documentation-related delays – and this defeats the entire purpose of using a faster service. Shipping vessels offer more haulage space than any other form of transportation and, as such, sea freight companies are able to accommodate any size of shipment. They are specifically designed to carry a large volume of cargo and they are capable of handling heavy, bulky and oversized goods. Whether you need to deliver a few particularly heavy items or a large volume of goods to an overseas customer, a sea freight service will fulfil your needs and complete the job without hassle. In recent years, businesses and distribution companies have become increasingly aware of their impact on the environment and there is more and more pressure for them to reduce their carbon footprint. They strive to adopt the ‘greenest practices’ in all aspects of business and, as sea freight is the most environmentally-friendly mode of transport, this has certainly added to its popularity. Many businesses now prefer to plan ahead of time and use a carbon-efficient sea freight service, rather than opting for quicker modes of transport, that have a negative impact on the environment. Generally speaking, ocean freight is the safest way to transport freight. There is significantly less chance of an accident occurring, there are less recorded incidences of theft, and shipping vessels are often designed to carry hazardous and dangerous cargo. Staff are typically well-trained, and regulations are put in place to ensure the safety of your goods, the vessel, and the crew. 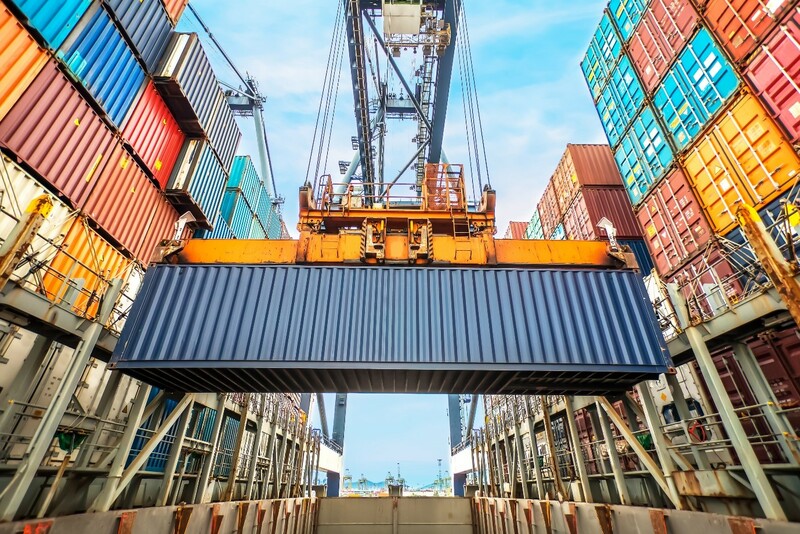 If you would like to find out more about international sea freight services and how they could be of benefit to your business, please feel free to get in touch. Here at Graylaw Freight Group, we have over 30 years’ experience in the freight forwarding industry. Our team of experts are always on hand and happy to answer your questions regarding sea freight and other forms of transportation. Either give us a call today on 01695 729101 or send a quick message to info@graylaw.co.uk. Why You Should Choose Graylaw For Your Pallet Delivery To The UK?